TheKenya Nyeri Hill AB (trekker series) coffee offers more than just a bright yet balanced roast which tastes pleasingly of honeysuckle, caramel, and molasses. 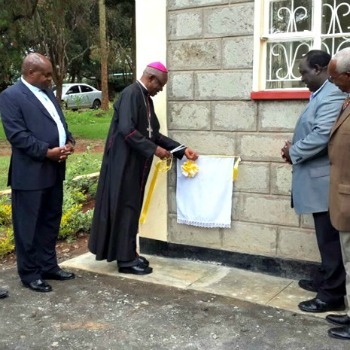 It also provides income, education, health care, and hope to more than 1,875 Kenyans. Who knew coffee with a purpose could taste this good! While our AB and AA Kenya coffees are from the same farm and have similar in packaging, these two coffees each have very different and unique tastes. TheKenya Nyeri Hill AB (trekker series) comes from beans expertly farmed on lower elevation plots on the estate. These Kenyan coffee beans produce a bright yet balanced roast which smell deliciously of nectarine, honeysuckle, and maple syrup and tastes pleasingly of honeysuckle, caramel, and molasses. For the past century, income from unique coffees like this has helped the Kenya coffee farm establish and maintained various health, education and pastoral institutions. Within the farm’s precincts, there are over 23 Institutions which include Schools and Colleges, Hospital, Seminaries and early childhood education. 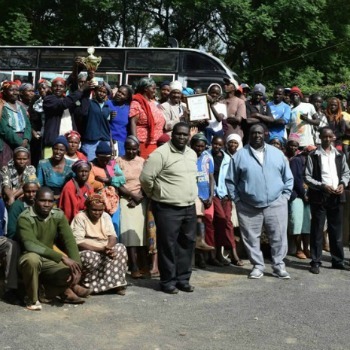 The farm estate–owned by the Catholic Archdiocese of Nyeri–has attained international recognition for the quality of its coffee by winning the coveted UTZ “good inside” Certification. UTZ Certified is one of the world’s largest coffee certification programs recognizing good farming practices that lead to better business and sustainably grown products that meet consumer standards for social and environmental responsibility. This is the first time we have offered two coffees from the same farm but of different sized beans. Try both the AA and the AB today!